6 August 2015 – He came, he saw, he delivered. Yazeen Buhari may be ending his stay in Singapore Athletics but most definitely not in the sporting scene and we are sure our paths will cross again in the very near future! 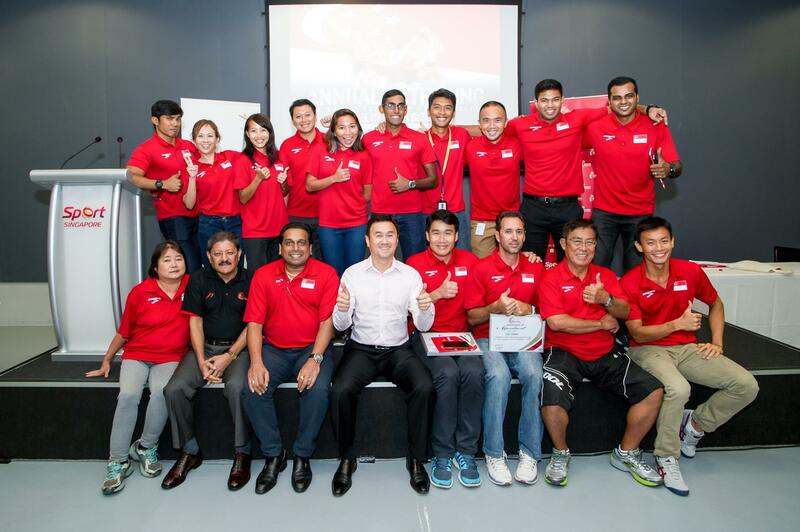 For the past 12 months from 4 August 2014, Yazeen spearheaded the Singapore Athletics secretariat as the General Manager. He has exhibited exemplary leadership skills and had been a good role model for the team. SA President Mr Tang Weng Fei mentioned “Besides leading the secretariat to a successful SEA Games 2015, Yazeen has been involved greatly on the movement of our office to the Sports Hub, the establishment of our Home Of Athletics at Kallang Practice Track and the rebranding exercise of SAA. While there are still many more things to follow up, the promotion of Damon Yong as the new GM with effect from 5 August 2015 augurs well for Singapore Athletics”. Within the SA secretariat team, Yazeen had built a close knitted team that was always behind him. Head Coach, Luis Filipe Cunha said “As my esteemed colleague, Yazeen has always appreciated my skills and supported my decisions. He is an active listener, is empathetic and creates a constructive atmosphere. Though his journey with us has ended, he will continue to be a friend to me and the association”. Likewise an extraordinary leader like Yazeen, captain of the recent SEA Games 2015, Kenneth Khoo expressed how Yazeen has made a lasting impact to the future of Singapore Athletics. “I truly appreciate the professional management you have brought to the sport. You have certainly left the association in a better place than you found it. Here’s wishing you all the best in your future endeavours”. Chairman Officials, Singapore Athletics, Mr Govindaraju S/O Sinnappan also added how one man was able to make a difference. Moving forward, the team at Singapore Athletics wishes Yazeen well in his future endeavours and thank him for all his valuable inputs in building this organization and laying the foundation for the future of athletics at Singapore Athletics!